I'll apologize at the start if this review resembles a press release. 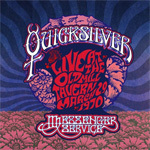 Cleopatra Records, for a second time this year, reaches back in time to offer another vintage live recording of Quicksilver Messenger Service, the iconic California psychedelic blues band. 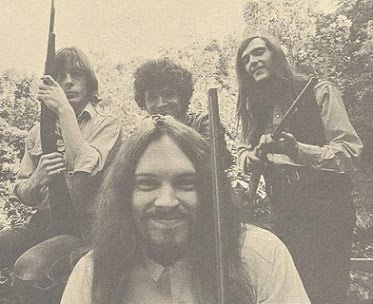 This session was recorded in 1970 at the Old Mill Tavern in Mill Valley, California, the band's own stomping ground. If anything QSM were known for their live performances. While not having the greatest of album sales, they were constantly doing shows much like familiar cohorts the Grateful Dead. It was their bread and butter, and where they shined. 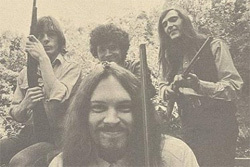 This Old Mill Tavern recording is simply another example of their controlled jam band frenzy of blues and psychedelic rock. Three things make this album worthy of a classic rock lover or historian. First, for it's time, it's a very good recording: it sounds fresh and lively. Second, while all the tracks find QSM jamming heavy, the real corkers are the two Blues Jams at the end that feature harmonica great James Cotton (who also had a phenomenal blues band back in the day). Finally, rock historian and author Dave Thompson writes the liner notes which are insightful, giving you a glimpse of the band at time and the music on record. If you're a fan of the band and liked the Fillmore recording from earlier this year, you'll certainly want to snag this one. If you're a fan of the band and liked the Fillmore recording from earlier this year, you'll certainly want to snag this one.